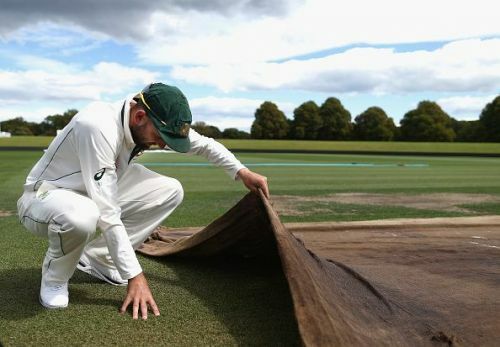 With Australia set to begin their two-match test series against Pakistan from 7 October in Dubai, they will be looking to erase any memories of their failure to play the Pakistani spinners the last time they met. Hence, they have appointed Sridharan Sriram, the former Indian cricketer as the spin bowling consultant to help them prepare against the likes of Yasir Shah and Shadab Khan. Sriram has picked up two uncapped young Indian leg spinners to travel along with him to bowl at the nets to the Australian side. Both the cricketers have the experience of being part of IPL teams and were not only involved in bowling at the nets but also included in an intriguing team discussion held at the ICC Academy. Sahu made his first-class debut for Haryana at the age of 17 and is among the trio of leggies to emerge out of Haryana that includes Indian internationals Amit Mishra and Yuzvendra Chahal. Sahu has also been part of the Rajasthan Royals and Kings XI Punjab squad in the Indian Premier League. He is currently a part of the preparation plans of the Aussies who will be looking to handle the leg spin threat of Yasir Shah and Shadab Khan. With this assignment, Sahu will be hoping to impress and also secure an IPL contract next year. Though he is yet to make his first-class debut for Kerala, KK Jiyas has already been part of the IPL, with Delhi Daredevils and also trained with the Australian side during their ODI tour of India in 2017. He has been brought in primarily due to the fact that he is chinaman bowler. Jiyas will offer a varied bowling action which could help the Aussies prepare for the Pakistani spinners.